If you are looking for a fun getaway with plenty to see, do and the finest weather you could hope for, then Florida is your dream come true. Florida isn’t called the Sunshine State for nothing and, with plenty of water activities and beaches, you will find a place to cool off around every corner. 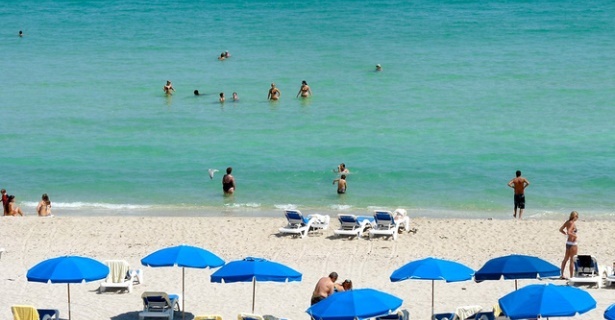 Florida beach resorts, 5 star hotels, apartments and cheap accommodation in Florida cater for the needs of the masses. So, regardless of your travel budget, you are sure to find affordable accommodation in Florida simply by searching for hotels in Florida online. One of the most well-known cities has got to be Miami. As you cruise down the beach front in your rental car, you can’t help but hear the Will Smith song, Miami playing in your mind. Take a look around, day or night and you will understand exactly what the superstar was talking about. This city is alive with fun, attractions and the nightlife is exceptional. Another top spot is most certainly Orlando. Synonymous with Disneyland, Universal Studios and several other world famous amusement parks, this is a top pick for families and those looking for some real adventure. Key West may form part of Florida but, when you travel along the Keys, you will feel like you are in an entirely different world. The narrow stretch of road reaches out over the ocean as it transports you to the ultimate paradise. If your biggest holiday fantasy is to sip on your favourite refreshing cocktail while you lay beneath a tall palm tree and watch the gentle waves roll before your eyes, then this is where you want to be. Key West offers some of the best options in Florida accommodation and the hotels in Florida have some of the most amazing views in the country. Of course, finding a cheap hotel when visiting Florida is usually best since you will hardly spend any time at all in your Florida hotel room. Many visitors also make the most of their trip to Florida by enjoying a cruise out to the Bahamas or other nearby islands. It’s a great way of making the most of your vacation and the fine local weather. When booking your visit to Florida, there are several factors that you will need to consider. First of all, the weather is generally fine throughout the year. The summers are quite hot while the winters feel like summer to those who live in the northern parts of the States. In fact, many locals reside in the north during the summer months and “migrate” to Florida for the winter. As a result of the hot and humid climate and the seaside location, Florida tends to be somewhat vulnerable to storms. By properly timing your trip and booking your Florida accommodation for the right time of year, you can very easily avoid storm season. With so much to see and do in every direction, you may just enjoy a road trip rather than staying in one city. Most of the major cities have their own airports so, once you land in the States, you can catch a domestic flight to the city of your choice. Book your rental car along with your Florida hotel accommodation in order to save money and map out your trip in advance so that you have time to enjoy each of your favourite attractions.